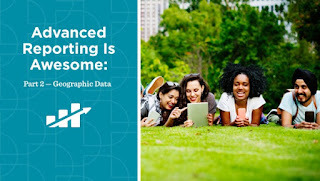 Here at VerticalResponse headquarters, we’re pretty excited about all the insights Advanced Reporting offers users. To showcase the unique edge Advanced Reporting brings to your email marketing, we’re examining each feature individually to highlight its advantages. Last week, we took a look at the use and benefits of device and browser statistics. Today’s feature is Advanced Reporting’s geographic data. Your readers’ locations are crucial data for crafting your upcoming campaigns. Particularly if you do business online, but even if not, knowing your customers’ and subscribers’ locations helps you set shipping policies, adapt products or services for certain areas, and even tailor different messages to readers in different locations. A picture really can be worth a thousand words. Click on “Geographic” on the Advanced Reporting toolbar to see a map of where your email readers are located. Hover over any area of the map to see the numbers from that particular state or region. The Advanced Reporting map view gives you a quick snapshot of where your readers are located. If your company ships products, has multiple locations, or simply wants to segment its lists, this is vital information. How will your message to California readers differ from your message to subscribers in Ohio? Does knowing where your buyers reside help you determine shipping prices and policies? Do you have special promotions for tourist traffic that shops infrequently? Advanced Reporting’s geographic data is the first place to look when answering those questions for your business. Focus your time and efforts on designing an email that looks best, performs the best, and makes the maximum impact — everywhere your readers are located. Upgrade to a Pro plan to start using Advanced Reporting right away.